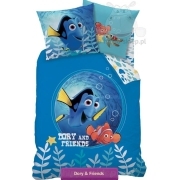 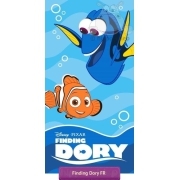 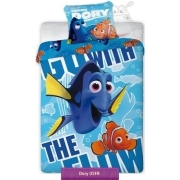 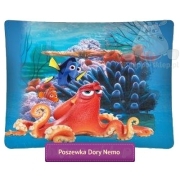 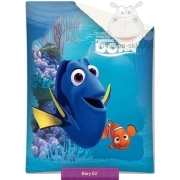 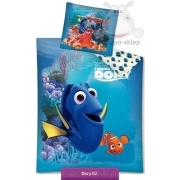 Nemo kids bedding collection with duvet cover size 140x200 from the Disney Finding Nemo movie with small fish kidnapped on coral reef and imprisoned in aquarium. 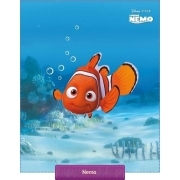 Baby bedding sets size 140x200 cm, kids towels 70x120 cm, blanket fleece and many other interesting accessories with the Nemo character. 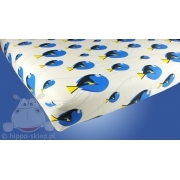 Top quality bedding and accessories with 100% cotton satin with a safety certificate according to Oeko-Tex 100 is a guarantee of safety of your child while sleep. 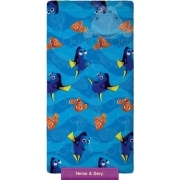 Accessories with small fish can also be a practical gift for any fan Finding Nemo and Finding Dory animated movie.